Located above a row of historic townhouses, Glasshouse merges historic charm with modern architecture. What brought me to Glasshouse Dental was the Zoom Whitening treatment, but what will keep me going back (in addition to whiter teeth), is the overall experience. The team at Glasshouse has re-imagined the typical dental experience, creating an environment reminiscent of a day spa. Taking a personalized approach to dentistry, the attention to detail throughout both the space and the treatments truly evokes what the team refers to as “bespoke dentistry.” My recent visit was to experience Zoom Whitening, which is a quick, highly effective, and safe method of brightening one’s smile. Keep scrolling to learn more about the treatment, tips for retaining whitened teeth, and how to redeem a complimentary Zoom Whitening treatment! The Zoom Whitening treatment room. Both doctors take pride in developing strategic dental plans as unique as their patients. The bright, airy space at Glasshouse provides the perfect backdrop to their distinct approach to dental services. Upon arrival, guests can help themselves to fresh coffee or a Perrier before taking a seat in the cozy lobby. 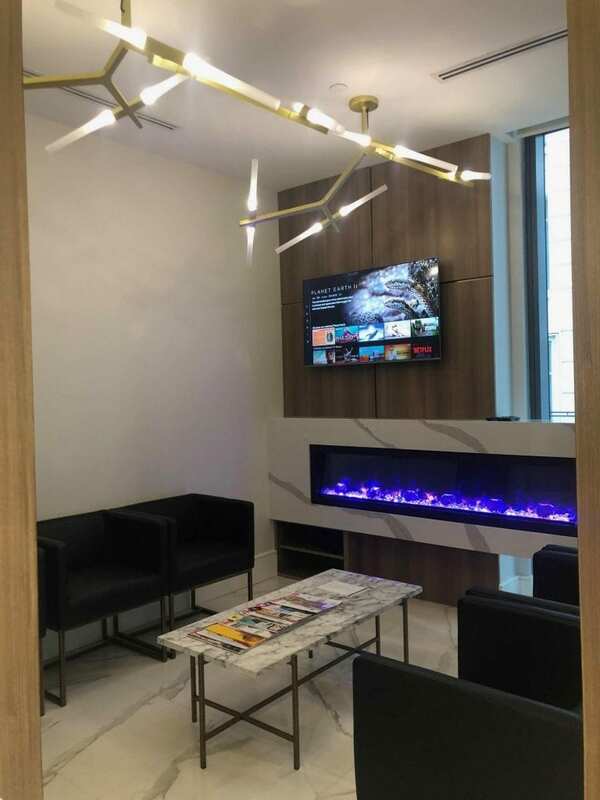 Seated next to the gas fireplace with your Patient Amenities card, you’ll immediately begin to feel removed from a typical clinic experience. Everything from blankets, pillows, Netflix, and personal Spotify playlists are available, making your appointment as comfortable as possible. You’ll feel at ease in the calming environment with knowledgeable and welcoming team members. 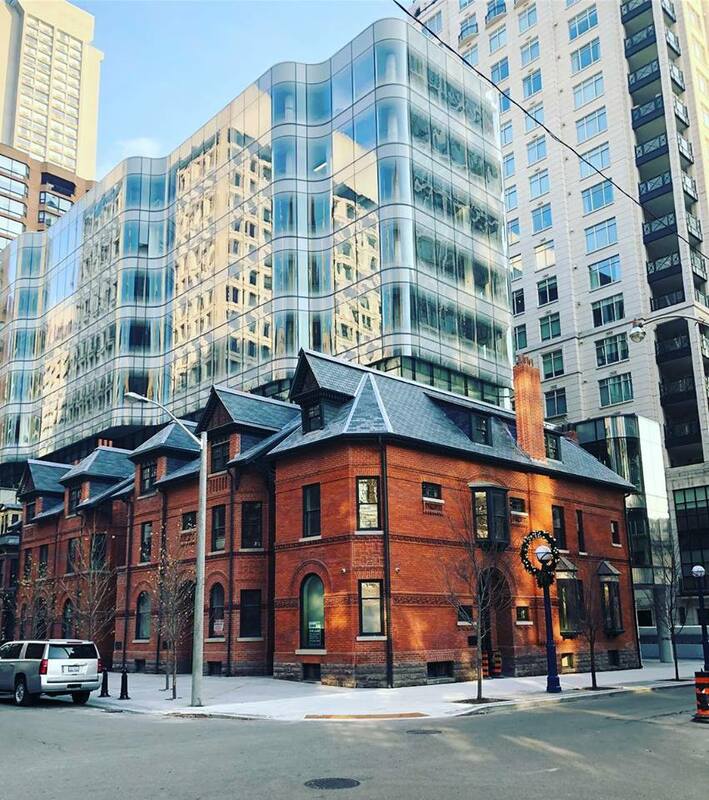 Our Yorkville flagship is an architectural marvel blending old and new. Our mission is to provide the most comfortable, luxurious dental experience you’ve ever had. In addition to complex surgeries, cosmetic dentistry, and routine check-ups, the team at Glasshouse offers Zoom Whitening, a 45-minute treatment shown to brighten teeth up to 8 shades! Elizabeth Shaw, the Glasshouse Dental Practice Manager, and Registered Dental Hygienist conducted my treatment, taking great care to ensure I was fully prepped on what to expect. The procedure is conducted in four increments, each lasting 15 minutes. Once the whitening product is applied, you’re free to catch up on Riverdale (my preferred in-treatment entertainment) or nod-off to a calming playlist. Throughout each 15 minute treatment, Elizabeth checked in to make sure I was comfortable; the treatment is tailored to both your desired outcome and also level of teeth sensitivity. I didn’t experience any sensitivity throughout the treatment and was hoping to achieve the brightest shade possible for my teeth, so we completed the full four rounds of whitening. Once complete, the product is removed and you’re able to continue on with your day! The results of my treatment were incredible – in less than an hour, it appeared as though fifteen years of caffeine had vanished! Zoom Whitening requires no downtime, but for about 24-48 hours following your appointment, you’ll need to keep things neutral when it comes to food and beverage. Aside from adjusting your meals, you can continue on as normal. Zoom Whitening typically lasts several months to a year, but it’s important to maintain proper post-care to ensure best results. Drink coffee with a straw. Avoid sipping on your coffee for long periods throughout the day. Brush your teeth during your lunch break! Brushing after each meal will help minimize plaque build-up and stain accumulation. Be aware that whitening toothpaste shouldn’t be used more than 2x per day. Elizabeth warns that because of the abrasive ingredients, these formulas can potentially wear down and damage tooth enamel. Keep a regular toothpaste on hand for your additional brushing. Whitening mouthwashes containing hydrogen peroxide can help remove stains over time. Book your appointment by calling the clinic at 416-513-1555 or emailing info@glasshousedental.com. 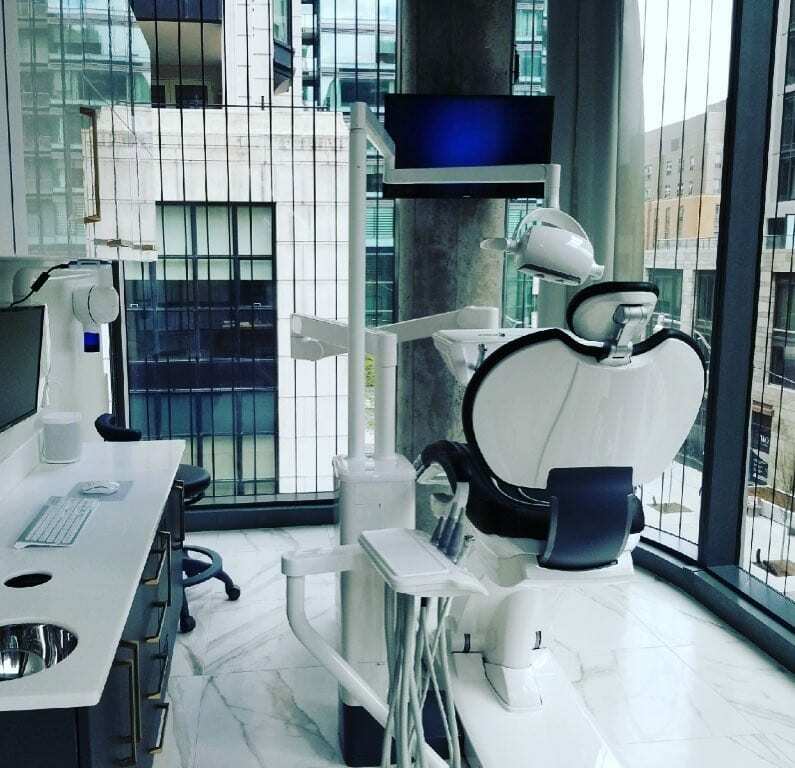 Glasshouse Dental is located in Yorkville at 7 St. Thomas St, suite 311.